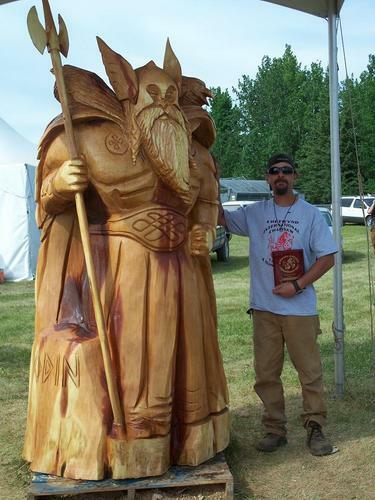 Pete Rieger is a woodcarver living in Quesnel B.C.Pete creates massive chainsaw sculptures,mysterious cottonwood bark woodspirits, custom signs and benches, and will even carve that stump in your yard into something wonderful. 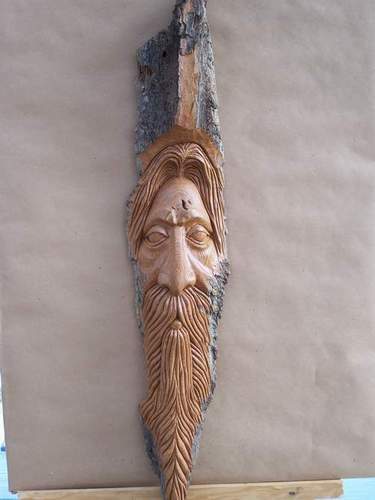 "I began woodcarving in Victoria, B.C. 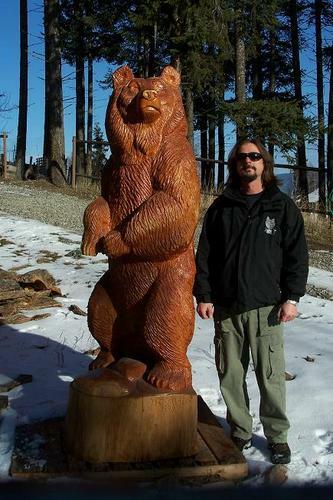 in the mid nineties, then after moving to Quesnel I saw the chainsaw carving competition and knew that it was for me. I began chainsaw carving, eventually got invited to compete, and now have large sculptures in Hope and Chetwynd, as well as various carvings in private collections worldwide. 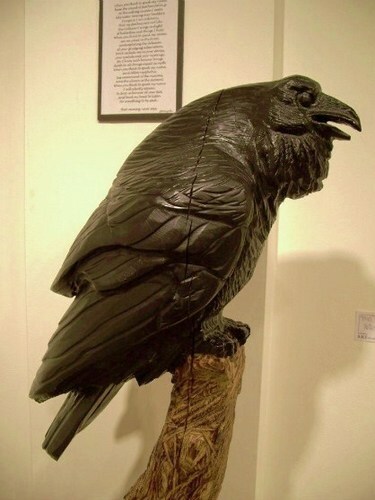 Contact me if you want a unique,quality sculpture of any size to complement your home, business,or property."